Voices on the Border staff couldn’t do what we do without the confidence and support of our amazing U.S. Board of Directors. 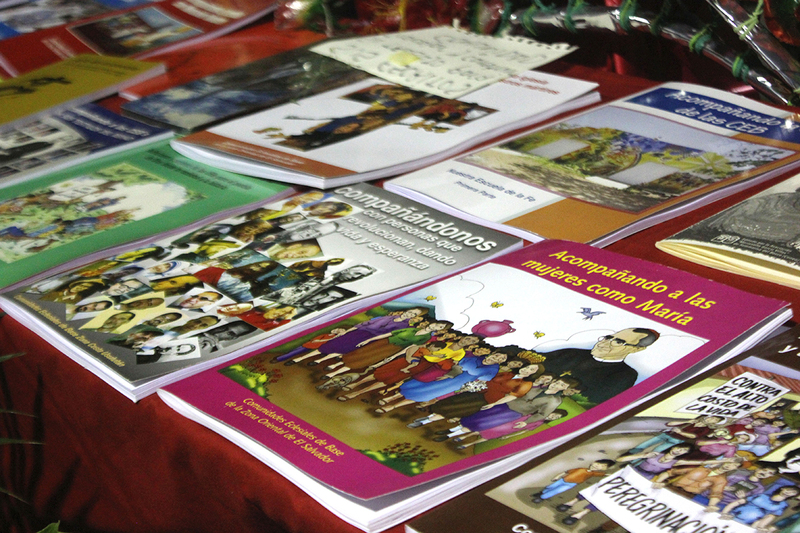 They are a diverse cadre of talented people with historical links to El Salvador and each year they come they strengthen these familiar bonds of solidarity, the very reason for VOICES’ existence. Below are some of the highlights from this year’s delegation held in January. At the end of the delegation we took a detour and hiked in Cerro Verde, an extinct Volcano in Santa Ana. CLICK HERE to read what one board member wrote. Click the image to find out what we’ve been up to! Educators from both Washington D.C. and community Amando Lopez began an intentional partnership aimed at improving the educational environment of the community and the pedagogical capacities of each group. This intentional connection is based on a common purpose, working cooperatively to create community that reflects shared core values. 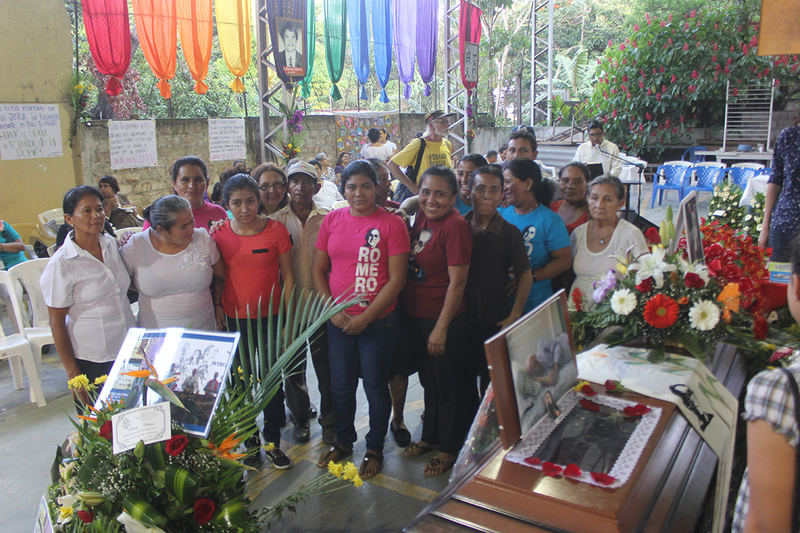 On August 25, Ecclesial Base Communities (CEBES), family members, the Archdiocese of El Salvador and international visitors said their goodbyes to a well-known Liberation Theology priest at the Awakening Center in San Salvador. 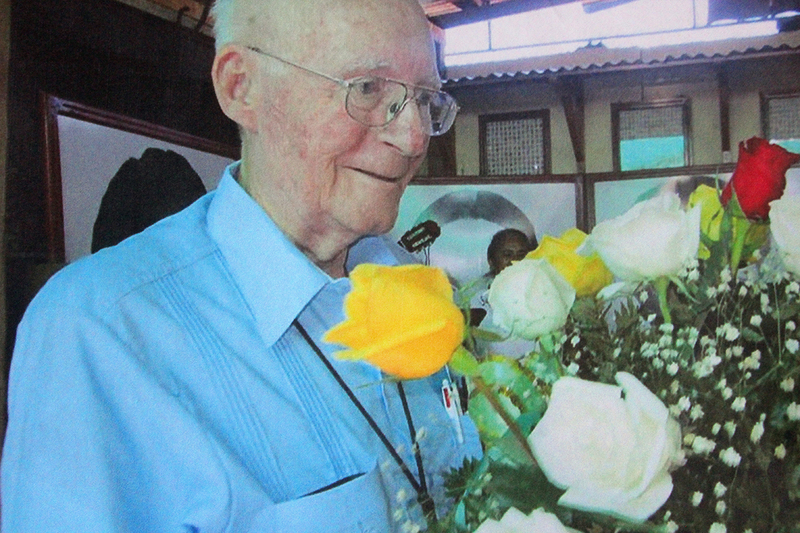 Father Pedro D’ Clercq, though born and raised in Belgium, had spent the past 47 years living and working with the Salvadoran CEBES as one of it’s founders as well as a prolific proponent of Liberation Theology throughout Central America. Although he died peacefully in his sleep after battling lung cancer, he’s already been imprinted in history next to such martyrs as Oscar Romero, Octavia Ortiz, Rutillo Grande and Segundo Montes. According to the CEB’s he was born in Izegem, Belgium on the 10th of February, 1939. In June of 1964, Padre Pedro was ordained as a priest by the Roman Catholic Church. He stayed in Belgium as a teacher, until he received the calling to come serve in the Americas, oddly enough, at a soccer game. 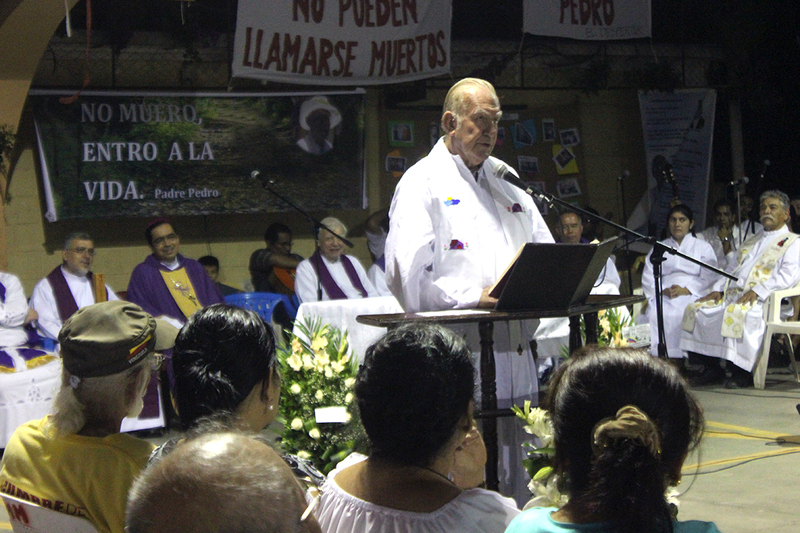 He began his service in Panama and then came to El Salvador in 1968 where he formed base communities and cooperatives throughout San Salvador, Chalatenango and Usulután. In 1977 he was excommunicated from the Catholic Church, due to expressing his critical views on the Salvadoran reality from the pulpit. He moved back to Belgium following the decision and from there formed numerous CEBES, in fact, he had formed CEBES in Panama and Nicaragua as well. 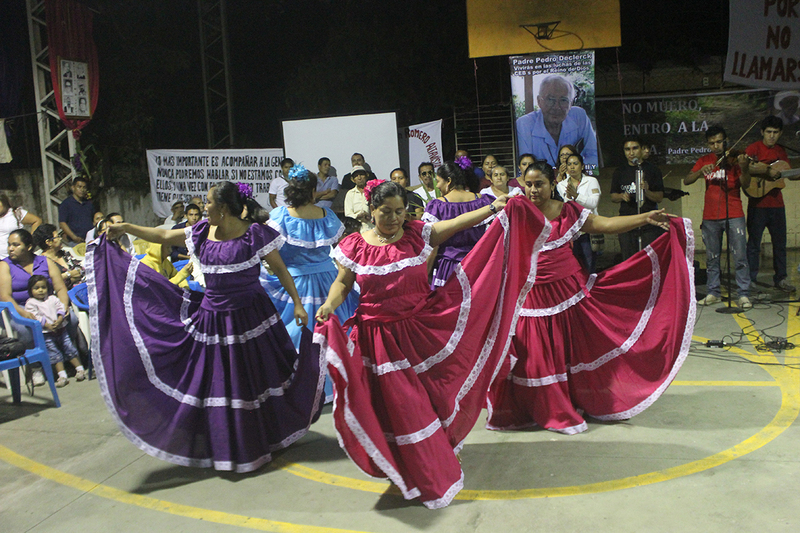 In 1992, he came back for good, settled in the Bajo Lempa region of Usulután and formed base communities, supported cooperatives, wrote publications, facilitated workshops, and even started a blood bank among many other projects. 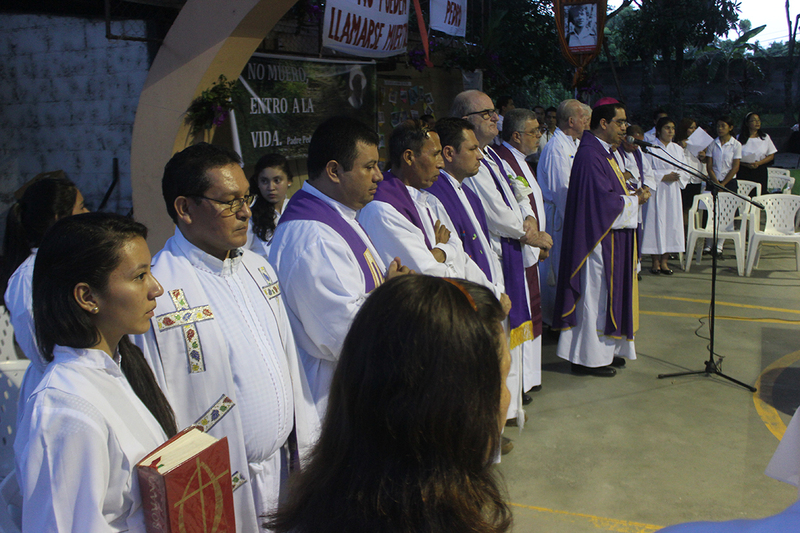 His writing, “Walking with Jesus and Monsignor Romero,” inspired the faith formation pre-school model of Community Segundo Montes, in Morazán. 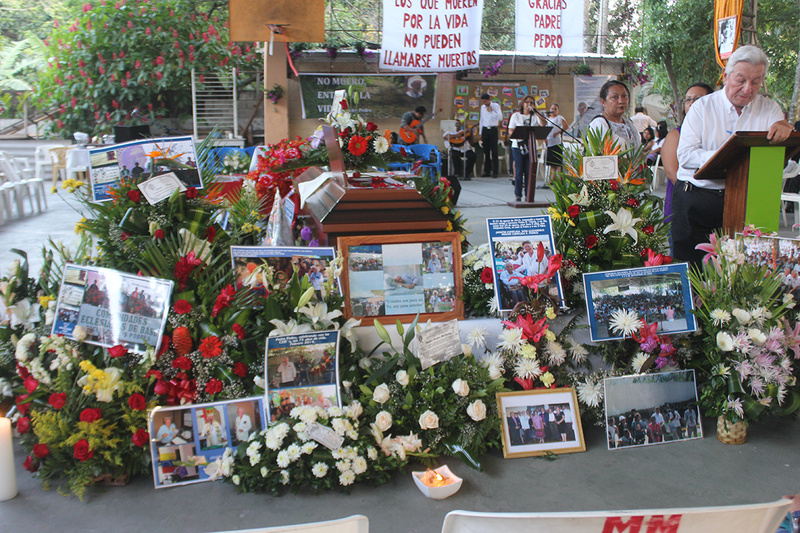 Padre Pedro, up until the end, tirelessly continued to travel throughout the country visiting and working for the people. 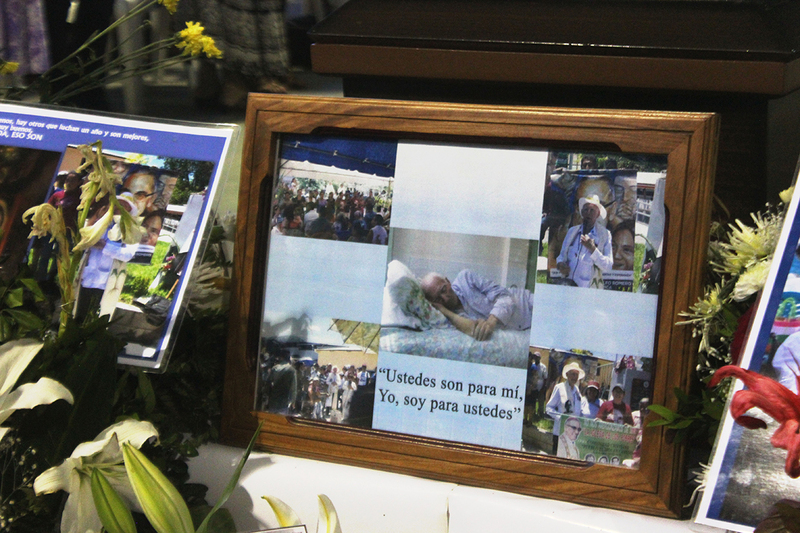 It was apparent, as hundreds came to pay homage to the beloved priest, that he had touched so many lives and hearts and will remain fixed as a man who genuinely loved the Salvadoran people. 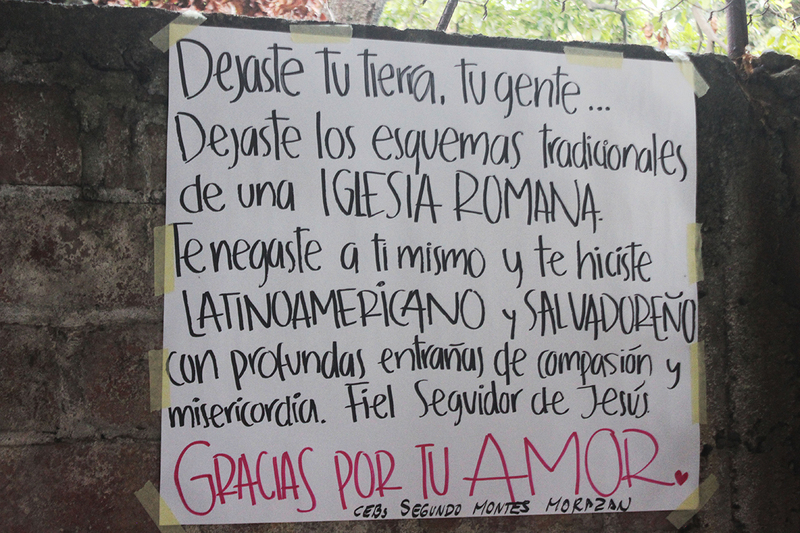 Last month a joint delegation of students from a Stanford University Liberation Theology and Human Rights class and members from the South Bay Sanctuary Covenant, one of our U.S. partner organizations, travelled to El Salvador. Upon her return to school, Erin Inman, one of the Stanford students, wrote the following article for her school’s newspaper about her experiences in El Salvador on the delegation trip. Traffic looms on either side as police officers attempt to direct the crowd off the street, too large to be contained by the plaza. Spanish words buzz past my ears at speeds too fast to comprehend, so instead, I focus on retrieving my bagged dinner and candle for the vigil. Just before 6 p.m., the chaotic crowd transforms into three orderly lines drawing people down San Salvador’s main avenue. 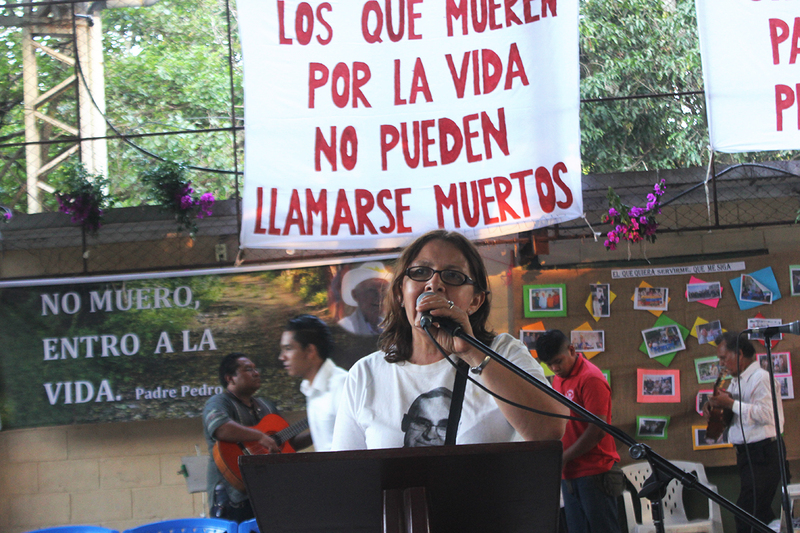 The march in honor of El Salvador’s martyr and unofficial saint, Oscar Romero, has begun. People of all sorts flow past me in the sea of celebration: Salvadorian youth energized for a man of another time, Salvadorian elders who remember their hero with pride, international students and workers affected by the legacy of Romero and us, a group of 20 Americans attempting to build solidarity with the Salvadorian nation. As participants and professors of the winter quarter class, El Salvador: Liberation Theology and Human Rights, we were joined by members of South Bay Sanctuary Covenant (SBSC), a local religious group committed to creating social justice in Latin America, for a week of confronting the past and present realities of El Salvador. 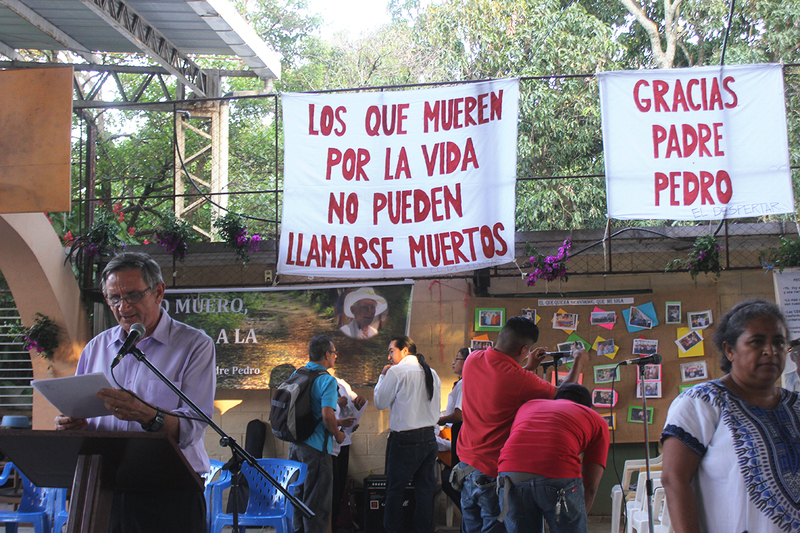 Throughout the week, we met with social activists about the evolving tension and violence in the Cabañas province due to mining and environmental issues. We heard from a variety of voices detailing El Salvador’s current drug, gang, female inequality and immigration problems. Though 19 years have passed since the end of its civil war, many of the issues prompting it remain unresolved. At the chapel where Monseñor Romero was assassinated, we stood with our hands on the altar, each offering a word of what the man, a conservative, Roman Catholic archbishop turned liberal voice for the oppressed, represented for us. “Faith.” “Hope.” “Love.” “Justice.” Each word is said with conviction, as if a strong voice could will these words into being. After five days of meetings in San Salvador, interlaced with good food and good conversation, we packed up our mini bus for the two-hour drive out of the capital and into the rural countryside of the Lower Lempa. Every time the bus stopped along the shack-lined roads, we were met with a chorus of “Mango! Pan dulce!,” as sellers thrust food items towards us through the open bus windows. When the bus pulled into Comunidad Octavio Ortiz, a partner community of South Bay Sanctuary Covenant, signs and general excitement welcomed us. After introductions, we jostled through a rendition of “Heads, Shoulders, Knees and Toes” for the children. “You do realize this means we’ll never be able to run for public office,” a fellow Stanford student joked, upon realizing we were being taped. Soon, as the energy dwindled down, I was following my host brother down the main road toward his home. We approached a house with two girls preparing dinner near the outside fire, a dog sleeping quietly beneath it. A quick peek into the house revealed hammocks as the only furniture, besides a table or two, upon which sat a stereo and a blaring television. As the girls chopped vegetables, preparing a soup for dinner, I took in the scene around me. Laundry hung on multiple lines. A heavy duty truck stood alone on one side of the lot; firewood was stacked against the house, and a pile of freshly picked corn lay waiting to be husked, while four dogs, a cat and many chickens snuck in the house, only to be shooed out. A dog approached me, and when I asked for its name, my host brother looked up from his work, smiled and said “Gringo,” the irony not lost on either of us. The next two days passed in a blur of tortilla and jam making, sugar cane processing, soccer games, mishaps with outdoor showers and latrines, loud music waking us up at 5 a.m., a developing hatred for cockroaches and my own attempts to avoid butchering the Spanish language. 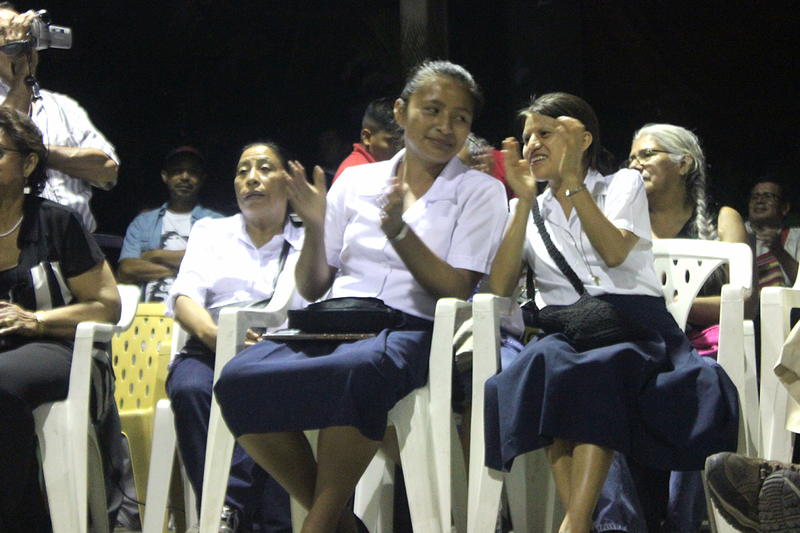 After living with my host family, meeting with the community board and partaking in the community’s Celebration of the Word, what speakers in San Salvador had alluded to became a reality for me: the Salvadorian people welcomed our solidarity. 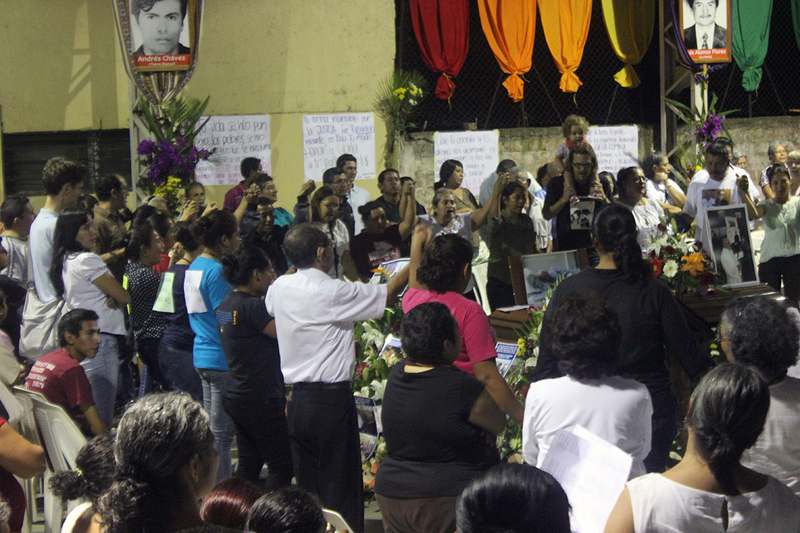 Young and old alike passed “La Paz” after service, and few of us were without a little girl climbing onto our laps or laying siege to our hands. 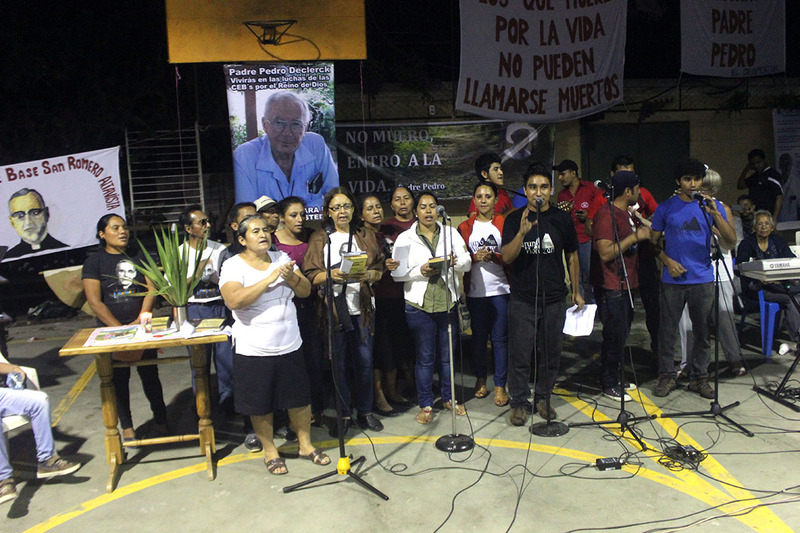 On the last night, at a concert celebrating Romero at the University of Central America, stood the very same segments of society from the march a week prior, only this time, our group was not interested in building solidarity. Instead, I smiled, realizing that we embodied it.